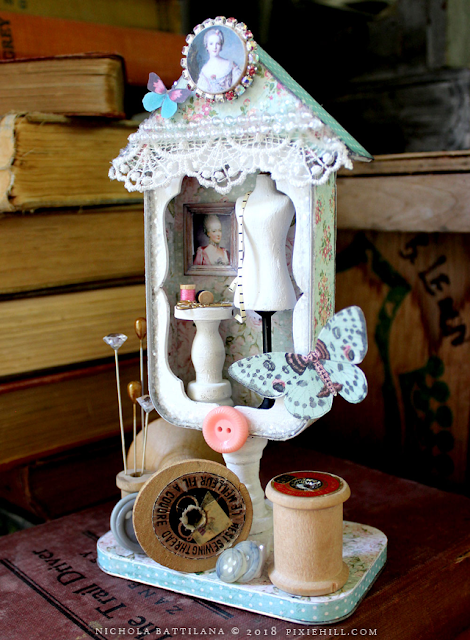 A wee sewist's shrine for AlphaStamps.com today. I've used an Altoids tin for the body of the shrine, and the lid is being used as the base. I've used an old chess piece as the stand, but an old spool would work well too. Speaking of spools... 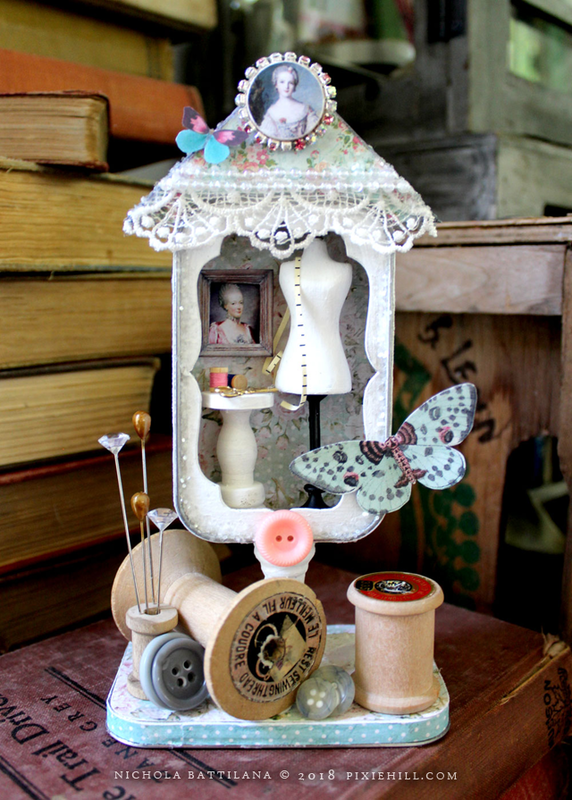 I've put a couple of vintage spools at the base as well as a few little buttons. 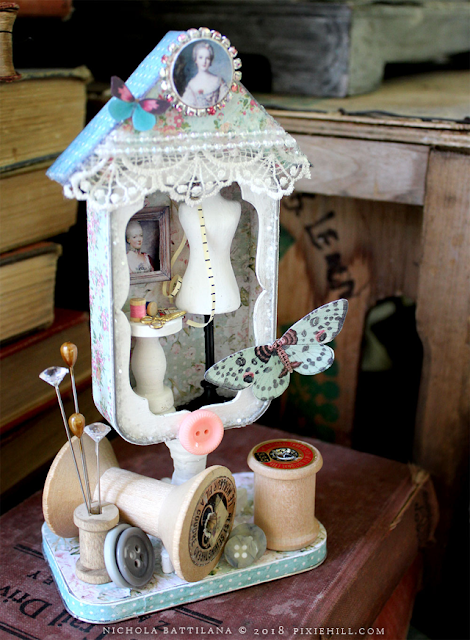 Inside, that's a 3 Inch Miniature Dress Form. I've applied a coat of gesso and then painted it white. To get it to fit inside the tin properly I've trimmed the base of the form. To cut it to size, I heated a blade and sliced through the plastic. The tiny side table is made by gluing a Flat Round Wooden Bead atop a wooden finial. 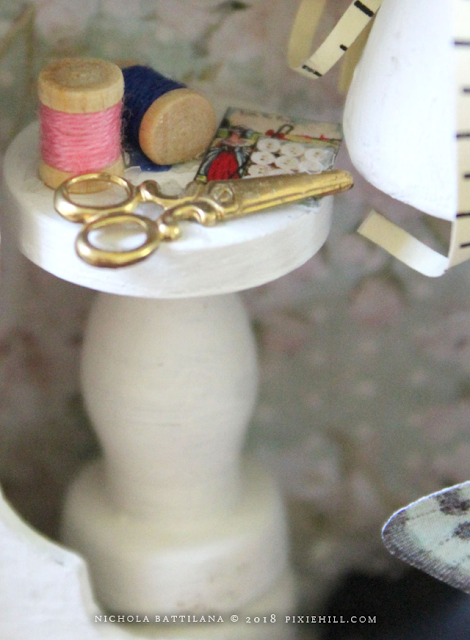 On top there are a Small Brass Scissors Charm, Tiny Thread Spools and a snip from the Mini Button Cards Half Sheet. 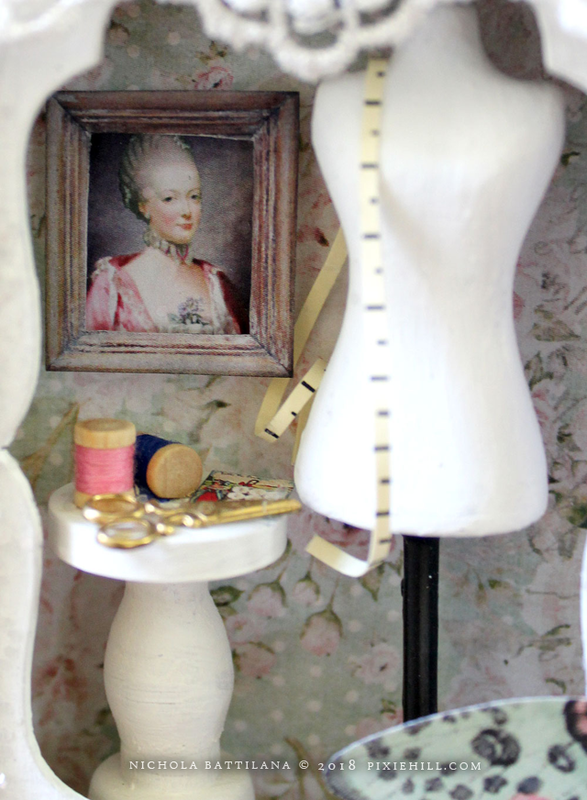 Want to make your own wee sewists shrine? You can find all of the AlphaStamps bits I put to use HERE. OOoh my gosh! That's ADORABLE!! I love your creative eye! Love this design...beautifully done...thank you!